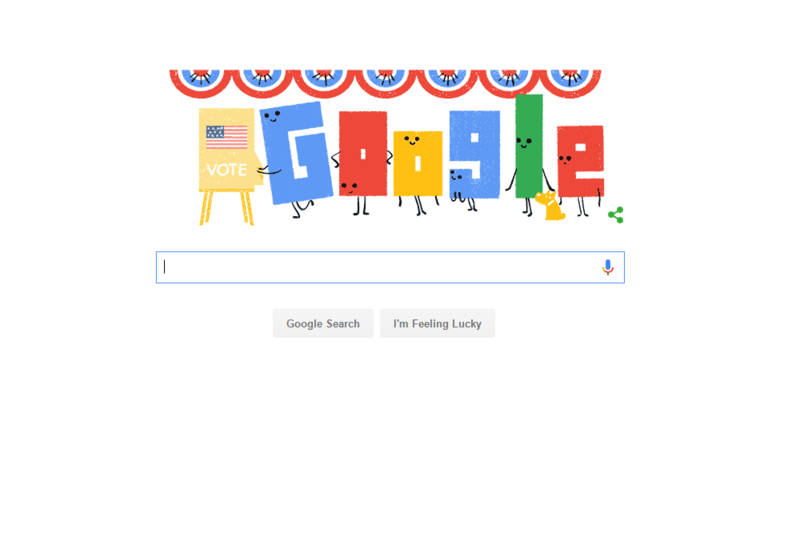 Google began rolling out useful information for voters early this year — in July, the search giant announced a search feature that allowed users to register for the upcoming presidential election. Simply Googling “register to vote” brings up a description of how to register in each U.S. state, as well as associated requirements and cutoff dates. In September, Google made all that information available in Spanish, too, and a few weeks before the day of reckoning, Google offered up information on where to vote and what your ballot will look like. The Mountain View, California, company says all this information has helped engage more people in the voting process. If you search “who’s on my ballot,” you’ll be greeted with information on candidates, and detailed information on your state’s referenda. For more information on any candidate, simply tap his or her name, and educate yourself on their various positions on key issues before you head to the polls. The banner integration in Google Maps takes you to the search results page for “where to vote.” All you need to do is enter your home address and you’ll get the address of your polling location, any requirements you need to fulfill before voting, and who is on your ballot. Google Now on Android phones shows relevant polling information as well. The company will also offer real-time election night results right into Google searches after polls close. All the information you see was aggregated with the help of law firm Perkins Coie, and involved what Moxley described as “a fair amount of manual, painstaking work.” But it’s important work, to be sure. “No matter which state you’re in or how you plan to cast your ballot, you can find the step-by-step information you need to register correctly and on time — right at the top of your search page and in the Google app,” Jacob Schonberg, a Google product manager, said. Google has already done quite a bit for this year’s election cycle. Earlier, the internet giant debuted a search tool that gave interested parties up-to-date information on both the Republican and Democratic national conventions. 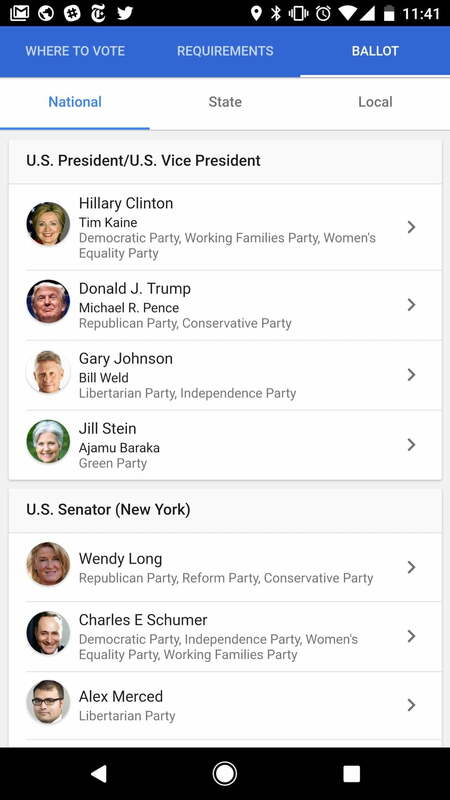 Had you conducted a search around the time of those events, the Google app would have given you a summary of the convention, information about the party’s nominee, a list of speakers, and associated social media posts. So don’t make any more excuses about not voting today. Google’s done almost all the work for you. Article originally published on 07-15-2016. Updated on 11-08-2016 by Julian Chokkattu: Added a Maps integration from Google.